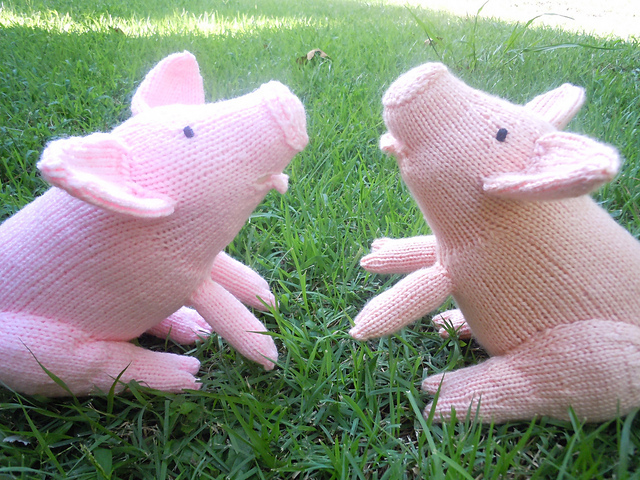 You’ll go hog wild for these absolutely adorable pig knitting patterns! It’s almost Chinese New Year and 2019 is Year of the Pig. According to the Chinese Zodiac, it’s great year to make money, and a good year to invest! To celebrate the New Year and because they are just so stinking cute, why not knit up a cuddly pig for yourself or your favorite little one? If you choose to knit one of these pigs for a child, I’ve included links to popular children’s PIG books (at the end of this post). You’ll create cherished memories while they sit next to you, snuggling their pig, and reading a pig book. 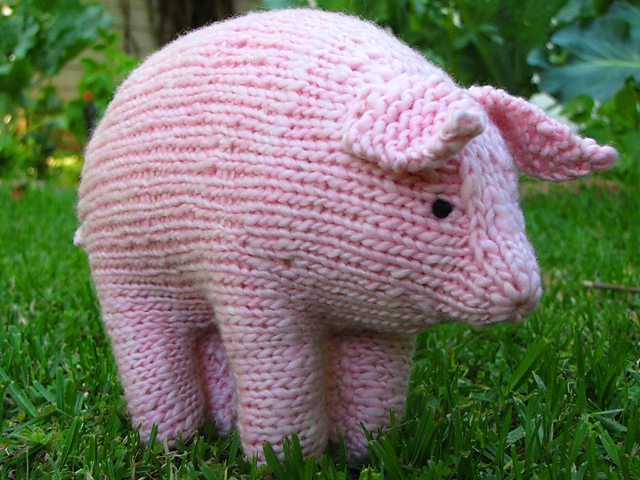 Here are 10 perfectly porkly knitting patterns to add to your barnyard! #1. 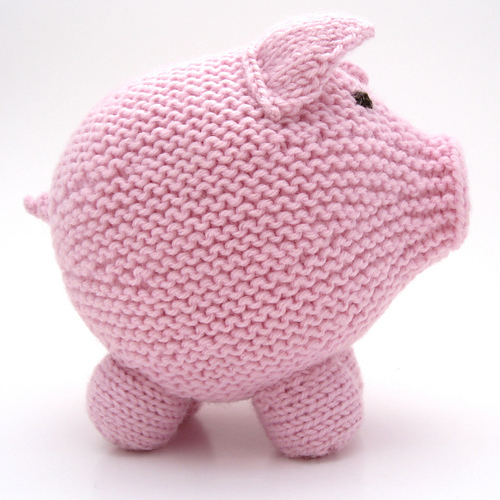 Linda Dawkins create this adorable plump pig knitting pattern. This softie pig project features floppy ears and a curly tail. #2. Wickedly Plucky Pocket Pig Knitting Pattern by Rebecca Danger. Just right for the pocket of your favorite kid, this tiny pig knits up fast and with just a small amount of yarn. May be knitted with our without wings. Great idea for party favors, too! #4. Big Pink Pig Free Knitting Pattern from Purl Soho. This simple to knit pig measures 38” around and 15” high. It’s a quick knit project and the result is a big cozy pig meant for cuddling! #5. Girl Pig Knitting Pattern by Julie Williams. This perfectly poised porker is decked out in a sweet striped dress, ruffled socks, and mary janes. Knit this softie doll for a favorite little girl. #6. This Little Piggy Hat Knitting Pattern for babies and children, designed by Kate Oates. This simple hat knitting pattern is adorned with a snout, ears, and curly tail. This can be a first hat for baby or a favorite of big kids. #7. 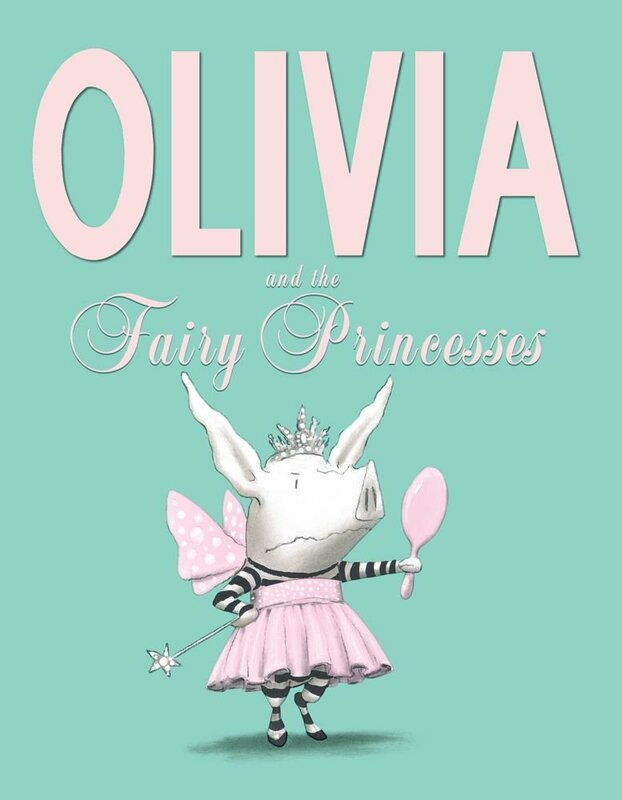 Plum Pudding by Ella Austin is one fine swine! Knitted using a sophisticated color palette, Plum Pudding is knitted in-the-round in Fair Isle color work and features button eyes and a curly tail. #8. Round Pig Knitting Pattern by Clare Doornbos. At 5” x 5”, this hog is just right for cuddling. It stands up straight when not being hugged and has a perfectly curly tail. #9. Pig in a blanket! 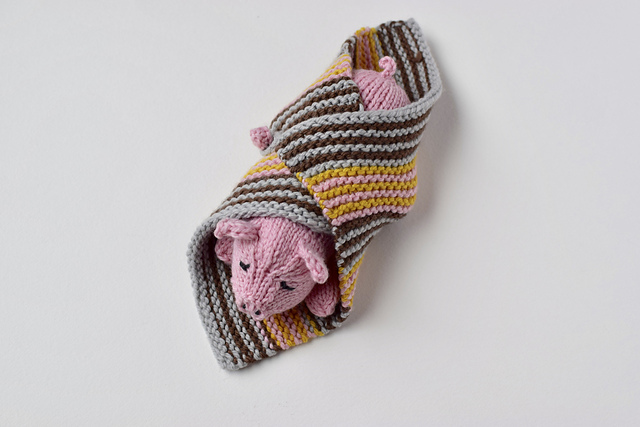 Wrap Me Up Pig Knitting Pattern by Susan B. Anderson was created with the knowledge that children love to wrap up their stuffed animals and put them to bed. Pattern includes instructions to knit both the pig and the soft striped blanket. #10. Pig Out! Cloth Free Knitting Pattern by Elaine Fitzpatrick. One pattern features two fun projects. You can knit either a washcloth or a baby bib. Sow, I hope you enjoyed this sty-full of pig loving patterns! 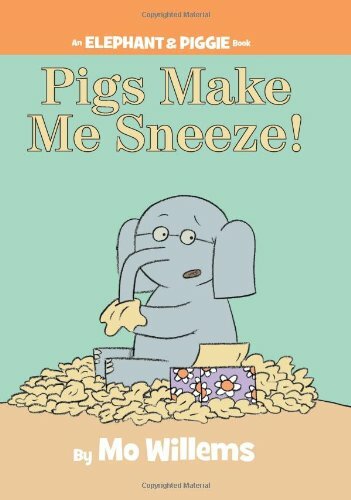 As I mentioned in the beginning of this post, if you are giving your pig as a gift to a child, why not include a book that includes a pig? It will be a great opportunity for you to share the gifts of knitting and reading!